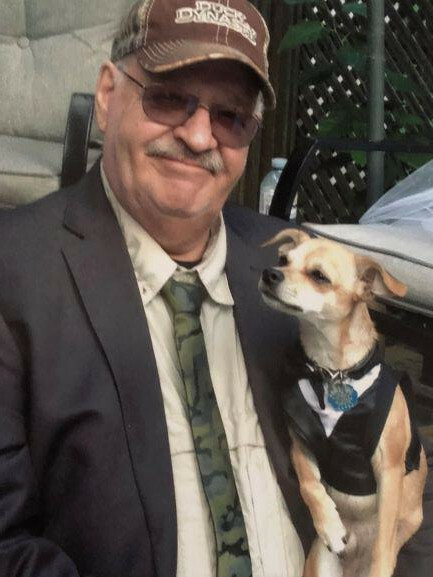 Rob, a longtime resident of Murillo passed away at home while enjoying one of his favourite past times, watching football with his trusty sidekick R2, his little Chihuahua. Rob, the youngest of three siblings, was born and raised in Slate River by his parents George and Lois Heald. Rob grew up in the Thunder Bay and Slate River area with a small period of his childhood time in Nipigon with his parents who operated Kama Bay Lodge Resort for a few summer seasons. Rob attended Northwood High School, became a welder and steamfitter and met Violet Chicoine. Rob always had an adventurous and curious soul and this sense of adventure drew him out west where Rob took employment with various construction projects throughout the years. Violet soon joined him out in BC where they got married and started a family with the births of their two daughters Tina and Jennifer. Shortly after moving the family back home, Rob accepted a position as a steamfitter in the maintenance department of the Lakehead Psychiatric Hospital where worked until his retirement. Rob enjoyed boating, woodworking and tinkering around in his garage workshop. He usually had a few projects on the go, although not too many got completed. That is the way Rob was. Jobs for somebody else took precedent over his own jobs. Rob is survived by his daughters Tina Zimmer (Shane) and Jennifer Heald, sister Joan Heald, brother James Heald, ex-wife Violet Heald (Chicoine) along with numerous other family members. 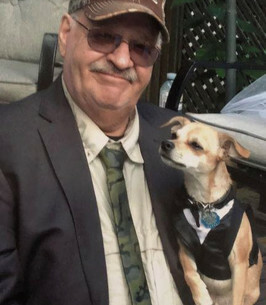 Rob was predeceased by his parents Lois Heald (Barrie) and George Heald and his first little Chihuahua sidekick Roscoe. Cremation has taken place and there will be no service as per Rob’s wishes. A small gathering to celebrate Rob’s life will take place in true Rob Heald fashion, a garage party where we will “bar-b-que some meat”! Friends and family are invited to attend this social event on Saturday, November 10 at 31 Martyn Drive in Kakabeka Falls, beginning at 5:00 pm. We will swap stories, tell lies and just enjoy one more time socializing with Rob. To plant a tree in memory of Mr. Robert George Heald, please visit our Heartfelt Sympathies Store. We encourage you to share any memorable photos or stories about Mr. Robert. All tributes placed on and purchased through this memorial website will remain on in perpetuity for future generations. Rob was always a cheerful friend and was a great help whenever needed. We hope you'll continue your good works in Heaven and be comforted when needed. Our blessings to you and your family. I was saddened to hear of Rob's passing. He and I have been friends from way back in his Nipigon/Kama days. He had a good sense of humour, which always led to pleasant times. In recent years, although not lately, he would stop by at our home while out riding his 3 wheeler. I will miss those spontaneous visits.